Jahbri Abasi Black is the type of person/drummer that EVERY African dance community wants to have. He supports every single dance and drum company and group in the Atlanta Metro area. His love to support the Atlanta community has been incredible, to say the least. He is a model for others to follow. 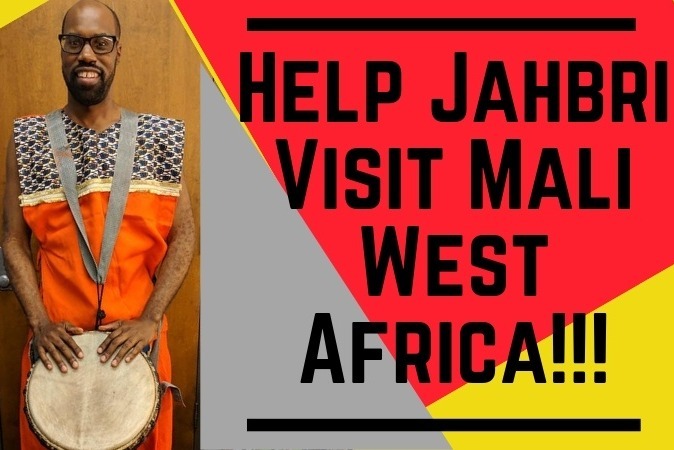 Jahbri AKA Jah-breezy (lol) has been invited to go on tour to Mali, West Africa, with his father Baba Harun as well as several musicians from Oakland, CA. One of Jahbri's former drum instructors, Baba Tacuma King, has organized all of the housing accommodations, meals and ground transportation. All Jahbri needs is airfare and spending money. This will be Jahbri's first opportunity to travel outside the U. S.. He will get to tour Mali and study traditional West African music and culture. Jahbri is seeking financial support from his own, the Metropolitan Atlanta's African Drum & Dance Community to raise $2000+. Jahbri has been playing West African music for the majority of his life. This trip will be a great experience for him! Please, BLESS this young man on his mission with your prayers & financial support.